I look forward to guiding seniors in their plans beyond NRCA as we complete college applications this Fall. All seniors will use the NAVIANCE/ FAMILY CONNECTION tool to list the colleges they are applying to, request their high school transcript to be sent to a college, and request teacher and counselor recommendation letters. This function will be available for rising seniors on July 17. This tool allows us to track acceptances to colleges and scholarships earned. 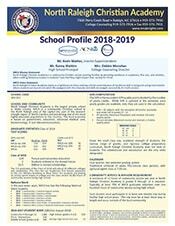 There is also a resume builder which students can use to store their lists of activities, awards, employment, community service, and so much more. Within Naviance, I will be listing scholarship offerings and College Open House events to keep students informed of opportunities. Juniors will also use NAVIANCE to complete their career assessment in November to help guide them to a potential career path and college major. Juniors are permitted one excused College Day and seniors are allowed two excused college days. Parents should submit a written request to the Attendance Desk stating the date and college that their student is attending. I am pleased that we will once again offer the ACT to senior students on Tuesday, October 3 on the NRCA campus. 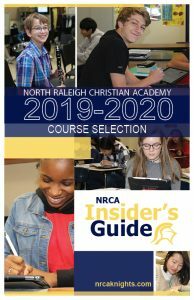 Registration will be in August at NRCA. NRCA will also be offering the ACT to junior students on Tuesday, March 20, 2018 and registration will be in January 2018. The 112 graduates of the Class of 2017 will be attending 40 different colleges and universities, with 15 of those colleges being attended for the first time by an NRCA graduate! Ten students will be on varsity teams at their respective universities and we had our first appointee to the US Air Force Academy and our first Park Scholarship (NCSU’s most prestigious scholarship) recipient. The Class of 2017 will be attending 15 different in-state universities and 25 different out-of-state universities and this class earned scholarships at $4,488,632!! All seniors must complete the questionnaire in order for Counselor Recommendation letters to be written by Mrs. Monahan. All seniors will use the NAVIANCE tool to list colleges they are applying to, request their high school transcript to be sent to college and request teacher and counselor recommendation letters. Access to more than 700 colleges and universities around the world, the Common App is the most seamless way to manage the application process. Seniors are allowed 2 excused college days and juniors are allowed 1 excused college days. To request permission for a future college day, write a handwritten note with the college you are visiting and the date of your visit. This note is to be given to the Attendance Desk in the school lobby. You must use your college day between August and April 30; college days are not granted in the month of May. 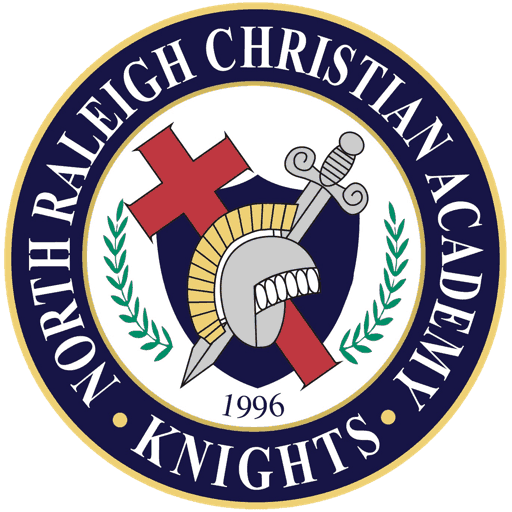 North Raleigh Christian Academy has a dual enrollment agreement with the fully accredited College of Southeastern where six classes taken at NRCA by NRCA teachers are eligible for college credit through dual enrollment. 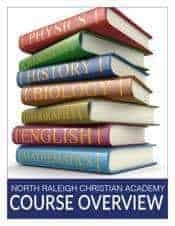 Eight NRCA classes can be taken concurrently for NRCA high school credit and College of Southeastern college credit. Click on the links below for more information.